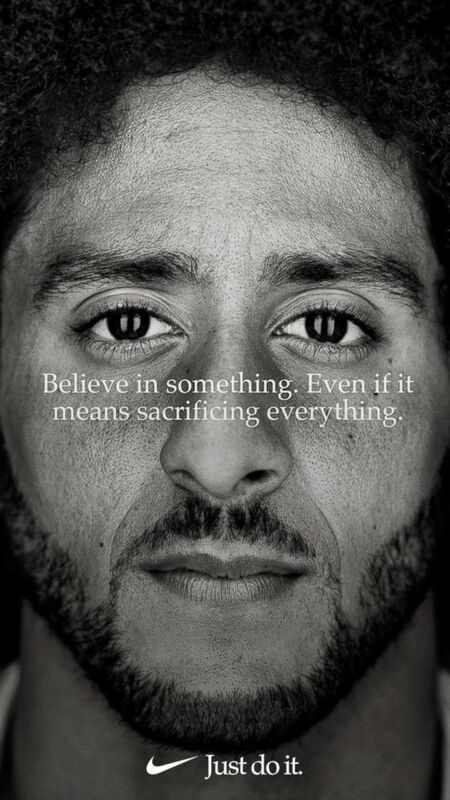 The store owner slashed prices for Nike in response to the campaign. A Colorado sporting goods store is closing after it boycotted Nike merchandise from its sales floor in response to the brand's ad campaign featuring former San Francisco 49ers quarterback Colin Kaepernick. (Nike) Colin Kaepernick is the new face of Nike. Prime Time Sports, located inside the Chapel Hills Mall in Colorado Springs, began slashing prices for Nike merchandise after Kaepernick became the face for the brand's 30th anniversary "Just Do It" campaign in September, Colorado Springs radio station KRDO reported. At the time, the store featured a large sign on its window that read, "All Nike 1/3 Price" and "Still Choosing to Stand, Just Doing It," demonstrating against Kaepernick's initiative to kneel as the national anthem was played at the start of NFL games during the 2016 season to protest police brutality, according to the radio station. On Monday, owner Stephen Martin posted on Facebook announcing a closeout sale with all merchandise marked 40 percent off. "Thank You for 21 mostly good years," Martin wrote. "For everybody that has offered help and support through the "Honor The Flag" memorial wall and NIKE boycott, now is your time to help me liquidate." Martin told KRDO that growth in online shopping reduced sales and he can no longer afford the rent, adding that seven of his competitors have also closed in the past seven years. The store owner also admitted that taking a stand on certain issues might have contributed to his dwindling sales. In addition to his Nike protest, Martin had canceled an autograph signing for Denver Broncos linebacker Brandon Marshall after he kneeled during the national anthem. 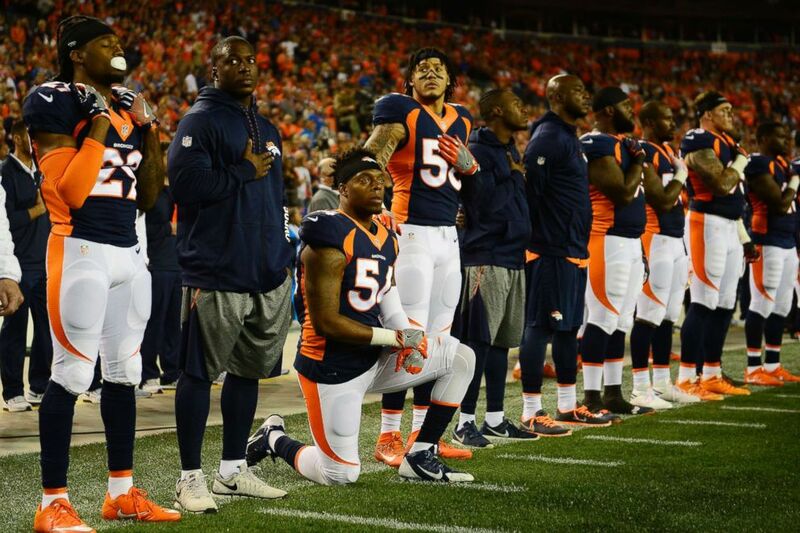 (Joe Amon/The Denver Post via Getty Images) Brandon Marshall (54) of the Denver Broncos kneels as Shane Ray (56) puts his hand on his shoulder for the National Anthem during the first quarter, Oct. 24, 2016. Martin defended the stance he took, describing it as a "business decision." But, many of his customers did not take kindly to the politically charged position. "People were wanting their money back," he said. "They were threatening to never shop at the store again." Martin said that while he understands the message behind the protests, he finds the way in which they are carried out disrespectful. "When you disrespect the national anthem, you just anger people who respect it, fought for it and died for it," he told the radio station. "The message just gets clouded. I wish they had found a better way." Martin expects to sell his store's stock in the next month, KRDO reported. The store owner did not immediately respond to ABC News' request for comment.